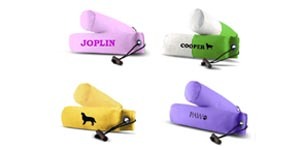 PAW of Sweden offers large and small companies, clubs, associations and kennels dummies with logo or text. The printing is done according to customer requirements, we apply sustainable transfer printing with non-toxic paint. To see the dummies that we can offer to transfer printing, please click here. Please contact us for a quote.